How Bankruptcy Affects a NJ Divorce Considering filing bankruptcy as a part of your divorce strategy? Has your spouse filed? Then find out how the bankruptcy can affect the divorce going forward. Whenever a bankruptcy is filed, something called an automatic stay is imposed. This protects the debtor in bankruptcy from creditors. But what if the individual debtor is in the middle of a divorce? What happens? Well, that depends. Bankruptcies seek to protect the debtor’s assets (called “assets of the estate”) from creditors while the debtor is in bankruptcy and, in most cases, after the case is over. The only issue that cannot be litigated during the pendency of a bankruptcy is the equitable distribution of marital assets. As a practical matter, however, most family law judges in New Jersey will stay the divorce proceedings until the bankruptcy is concluded due to the interrelated nature of all the issues. For a chapter 7 bankruptcy, though, the wait is not long – in most cases no more than three to four months. No one case is the same. 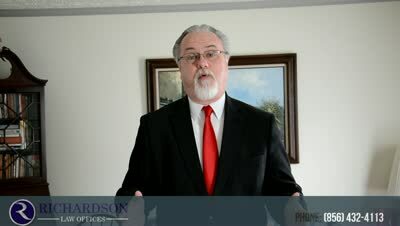 So if you live in southern New Jersey, are in the midst of a divorce, and you, your spouse, or both of you are considering bankruptcy, please feel free to call me at 856-432-4113 or contact me through this site to schedule an appointment in my Woodbury office to discuss your situation in detail to be sure your rights are protected. If you have more questions about bankruptcy, then download my free book,Top Questions People Ask About Filing Bankruptcy in New Jersey or Top Questions Divorcing Couples Ask About NJ Bankruptcy. What is a wage attachment in New Jersey?